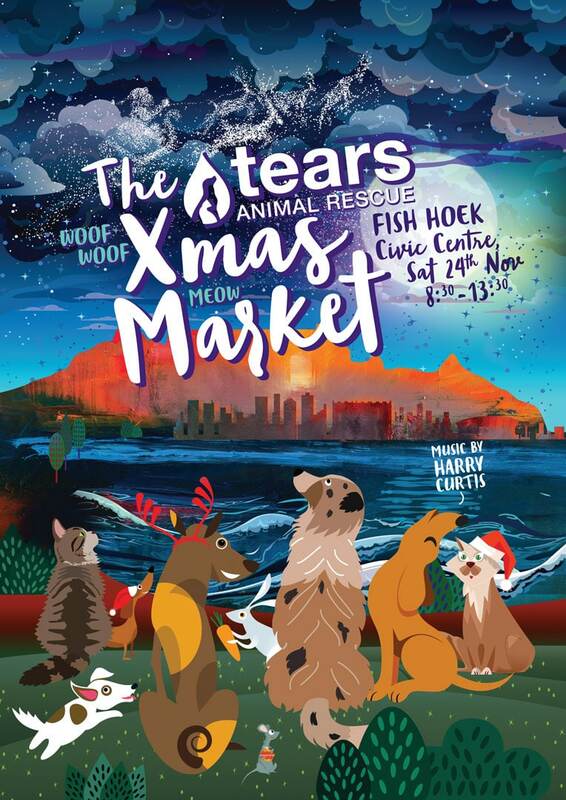 The TEARS Animal Rescue Xmas Market is taking place on Saturday, 24 November 2018 at the Fish Hoek Civic Centre from 8.30am to 1.30pm. 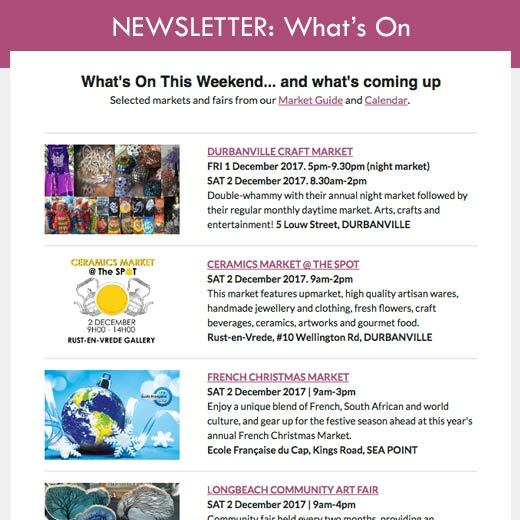 There are over 30 crafters supporting this market, offering a wide range of handmade crafts – making this event an ideal opportunity to do your Christmas shopping! The crafters’ range includes: jewellery, beaded wire art, ceramic bowls, papercraft (journals, diaries and calendars etc. ), dog ropes and treats, beauty balms and salves, Christmas decorations and table décor, clothing including children’s outfits and ladies beach and casual wear, toys, Barbie outfits, bears and bear outfits. The TEARS retail shops and dedicated TEARS crafters will also be participating offering Bric n Brac, second hand books, handmade jewellery, sewed and knitted crafts, greeting cards, water-wise miniature gardens as well as the ever popular TEARS 2019 calendar and Christmas cards. There is range of food and refreshment tables – Gap Coffee who also serve slushes and waffles, the Stand Easy food truck, freshly cooked samosas, sandwiches and tea time treats, cakes, mince pies, biscuits, jams and preserves as well as a vegan snack table. There will also be a garden nursery section with water-wise plants and herbs on offer. Popular local artist Harry Curtis will be entertaining all with his appealing live music and there will be a raffle table with a selection of prizes to be won (including an LG 50” plasma wide screen monitor plus stand!). Entry to the Market is free and in addition the traders are not being charged for their trading space but will be making a kind donation to TEARS in lieu of table rental. There will be ample parking onsite around the Civic Centre and security is being provided. 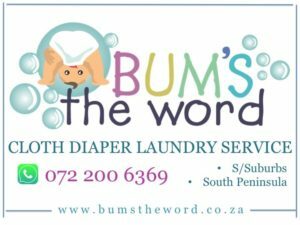 WHERE: Fish Hoek Civic Centre, Fish Hoek. For all the latest info, follow the event on Facebook. The market is convened by TEARS volunteers, and fully supported by the participating market traders, to help TEARS assist local communities with cat and dog sterilisation, vaccination and pet education, through the veterinary clinic, the mobile clinic van and the Feral Cat Project. There will be an information table at the Market promoting all the TEARS’ initiatives, with special focus on the TEARS Pay-for-a-Spay program.